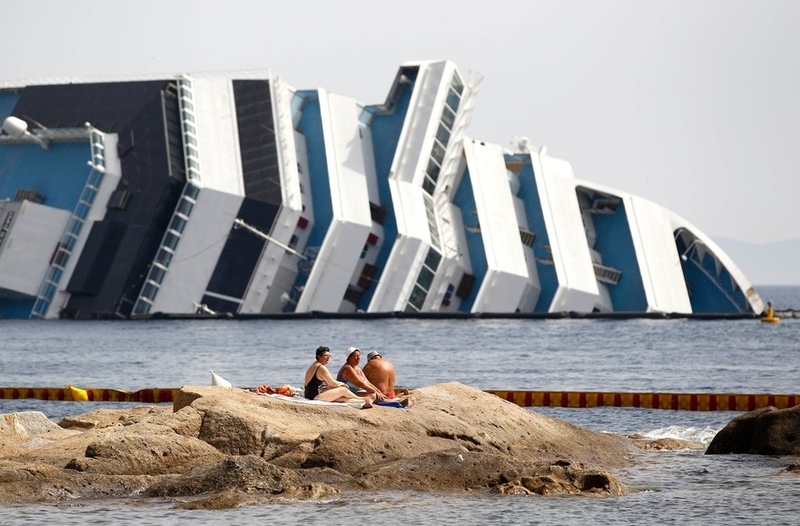 Vacationers bask in front of the wreckage of capsized cruise liner Costa Concordia. Twenty-eight people were killed when the cruise ship capsized off the coast of Italy. 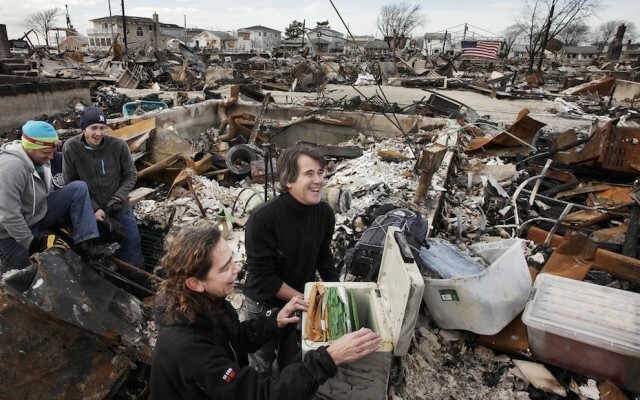 The Waldo Canyon fire burns an entire neighborhood near the foothills of Colorado Springs, Colorado. 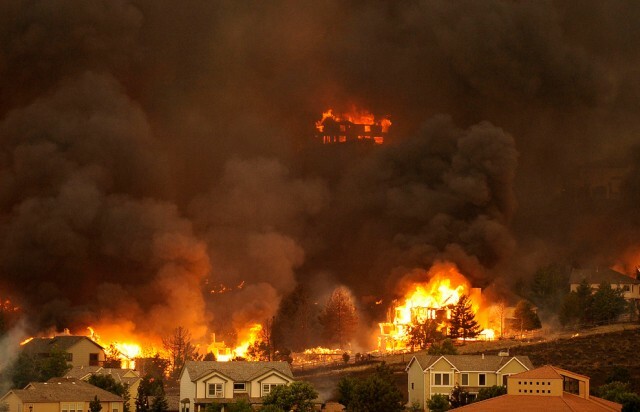 In June, Colorado endured nearly a week of 100-plus-degree days and low humidity, creating a devastating formula for volatile wildfires across the state. 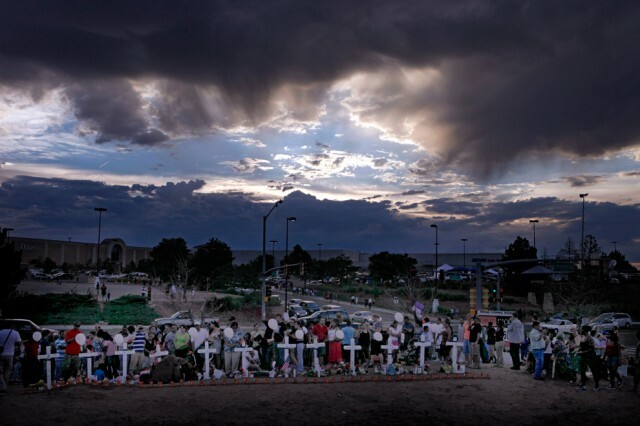 Storm clouds gather above a memorial for the victims in the shooting across the street from the Century 16 movie theater in Aurora, Colorado, in July. 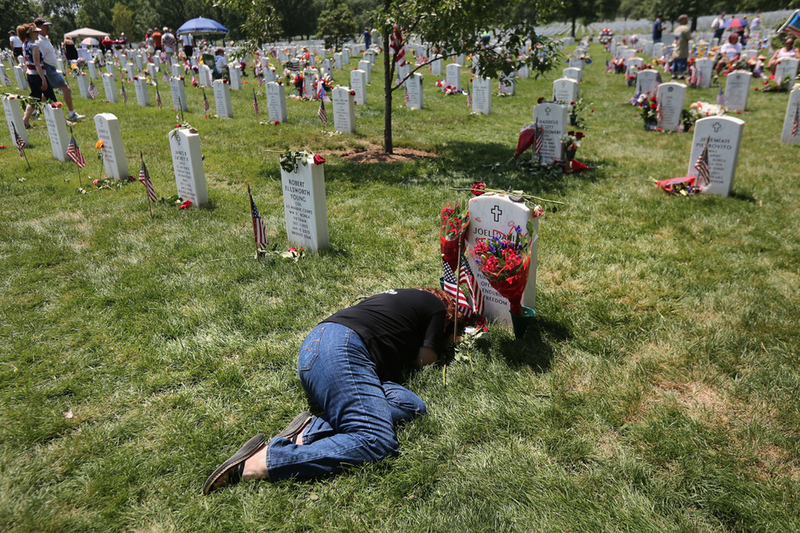 Karen Clarkson lies over her slain son’s grave at the National Cemetery on Memorial Day. 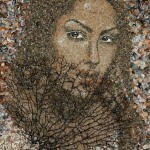 Her son, Sgt. Joel Clarkson, was serving as an Army Ranger team leader in Afghanistan when he was shot and killed in March 2010. 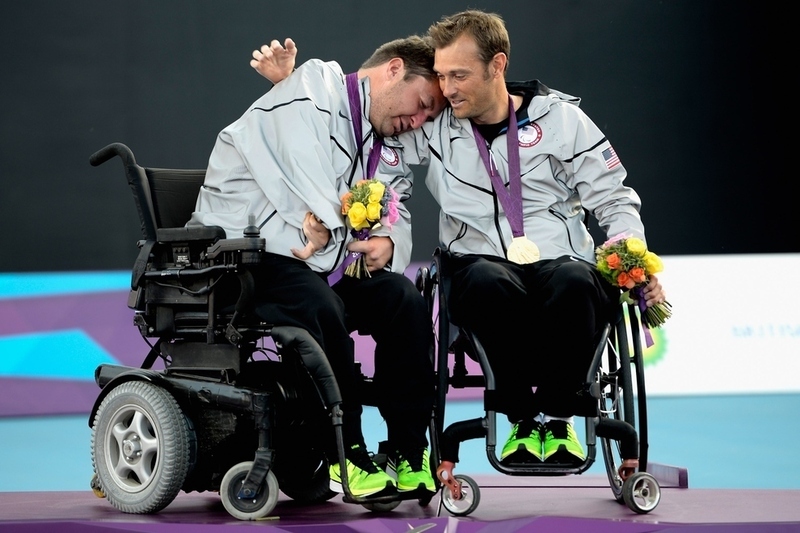 Nicholas Taylor of the United States and teammate David Wagner celebrate after the Quad Doubles Wheelchair Tennis Gold Medal match. 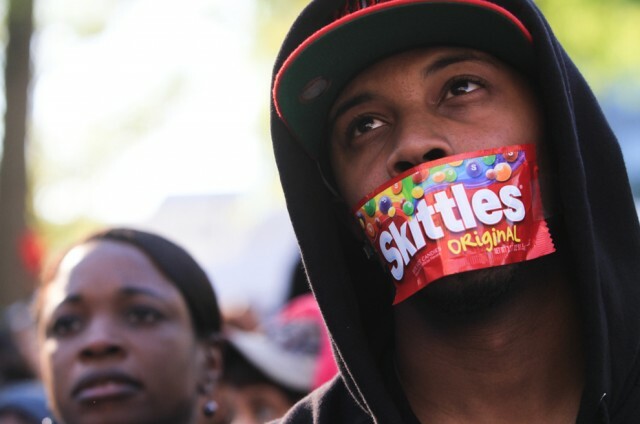 College student Jajuan Kelley covers his mouth with a Skittles wrapper as he stands in a crowd of thousands rallying at the Georgia State Capitol in memory of slain Florida teenager Trayvon Martin. Protests were held nationwide in reaction to the death of Trayvon Martin, the Florida teenager whose shooting by a neighborhood watch captain has led to questions of the “stand your ground” law in Florida and other states. 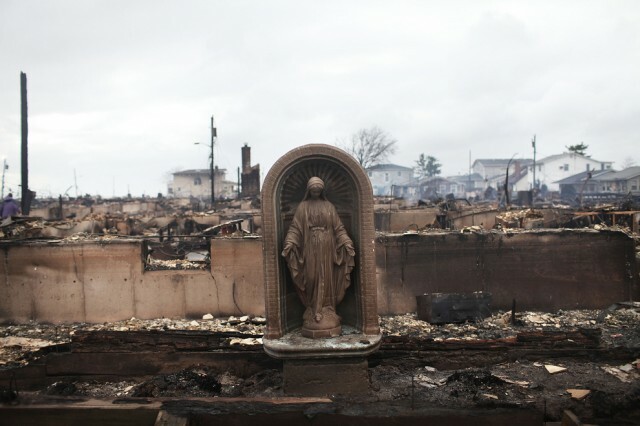 A Virgin Mary is all that remains from a home that was destroyed in Breezy Point, Queens, after Hurricane Sandy. 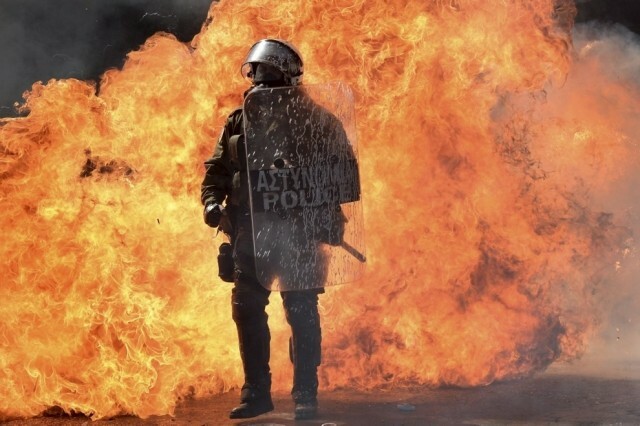 Unidentified people beat Svyatoslav Sheremet, head of Gay-Forum of Ukraine, in May. 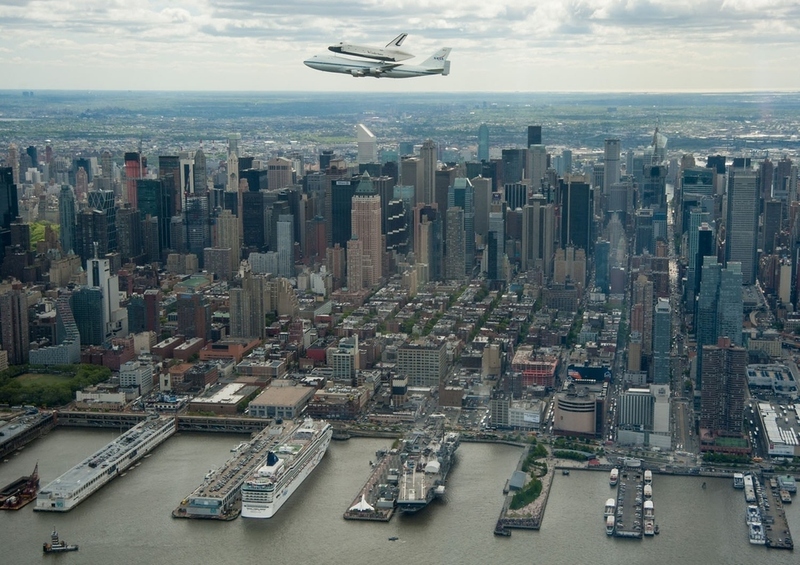 Sheremet was attacked after meeting with members of the media to inform them that a scheduled gay parade was canceled due to threats of violence from neo-Nazis and other hate groups. The attackers ran off when they realized members of the media were documenting the attack. 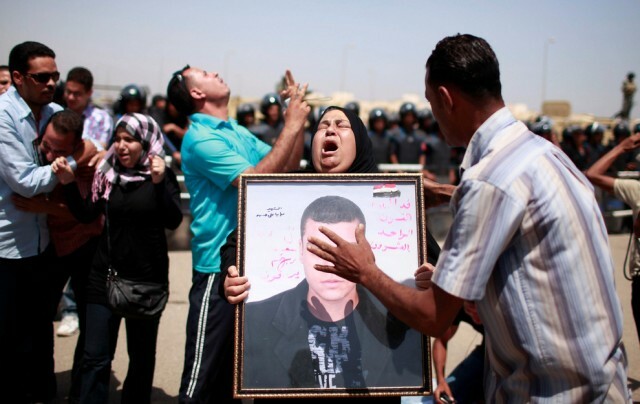 Relatives of people who died during Egypt’s revolution react after a court sentenced President Hosni Mubarak to life in prison in June. 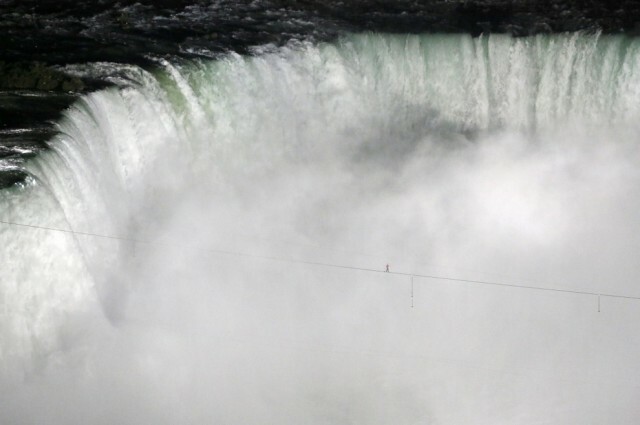 Nik Wallenda tightroped over Niagara Falls on a 2-inch-wide wire. 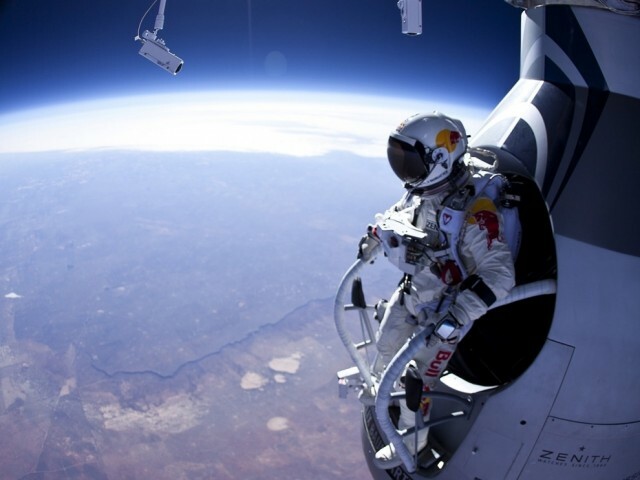 He’s the first person to ever cross directly over the falls from the U.S. into Canada. Fashionistas pose for photographs in front of a homeless man outside Moynihan Station following a New York Fashion Week show in September. 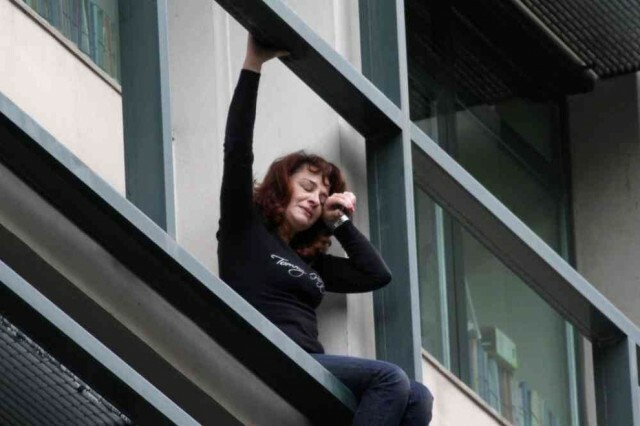 An employee from a government-owned company in Athens, Greece, threatens to jump from her office window after being told she would likely be laid off. The control room for the Curiosity Space Rover erupts in cheers after finding out they successfully landed on Mars. 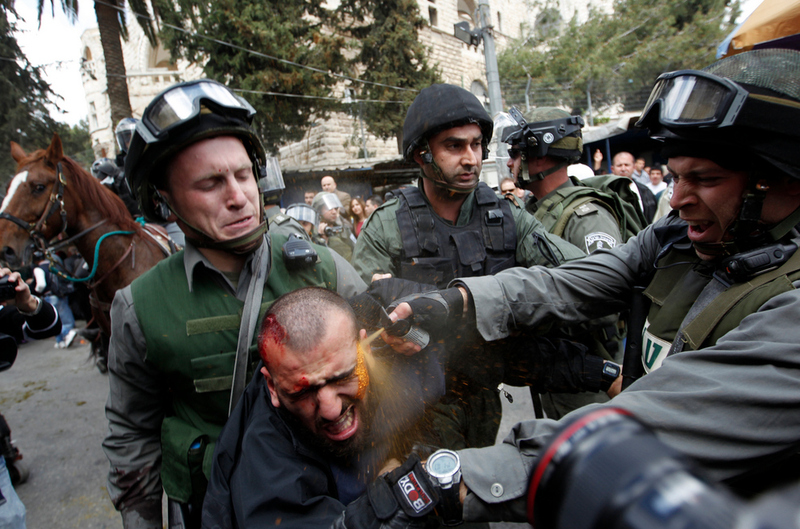 Israeli border police officers use pepper spray as they detain an injured Palestinian protester during clashes on Land Day in March. 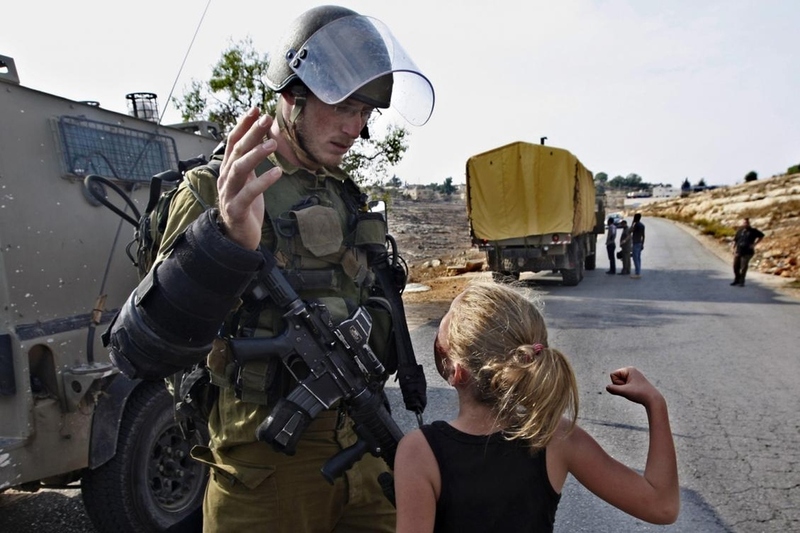 Security forces fired rubber bullets, tear gas, and stun grenades to break up groups of Palestinian stone-throwers as annual Land Day rallies turned violent. Thousands of people with crutches and in wheelchairs protested against the government of Bolivia in February. 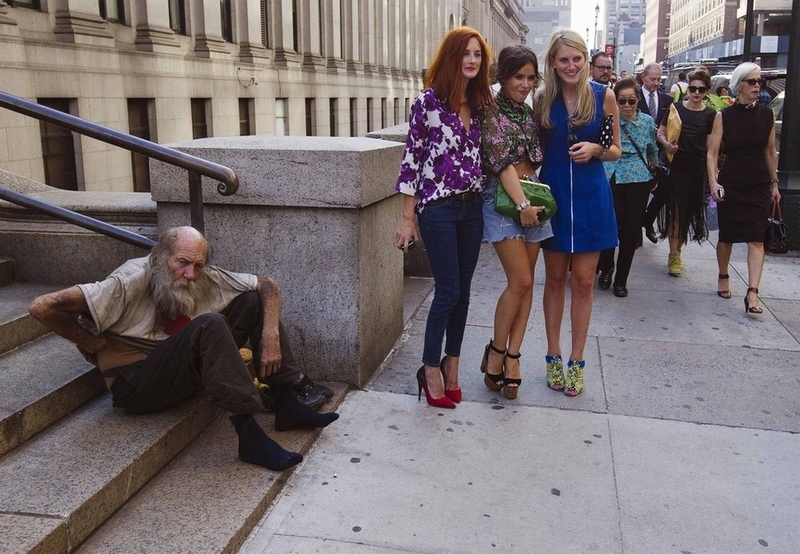 They were protesting what they believe to be an inadequate welfare system. A police officer uses his baton against an activist during a protest against the government in Dhaka, Bangladesh. Demonstrators demanded that the government withdraw a power-tariff hike marched toward the energy ministry. 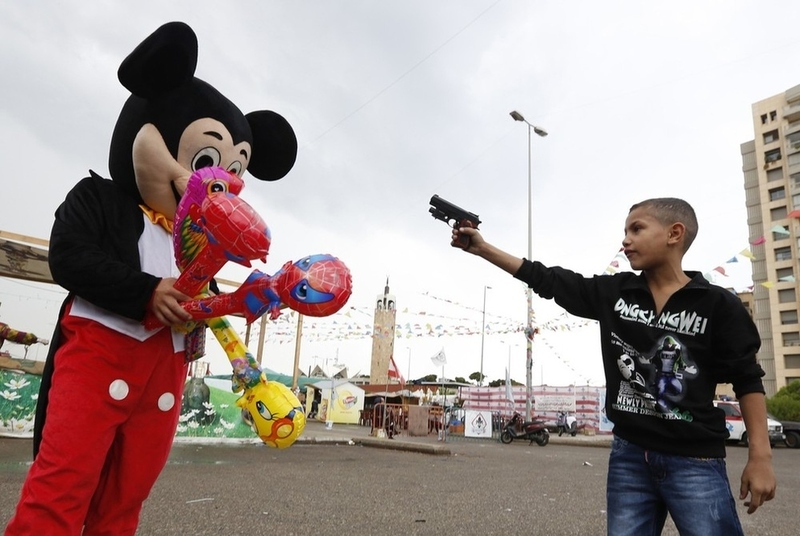 A Syrian refugee boy points a plastic toy pistol at a man in a Mickey Mouse costume on the first day of Eid al-Adha at a park in Beirut. 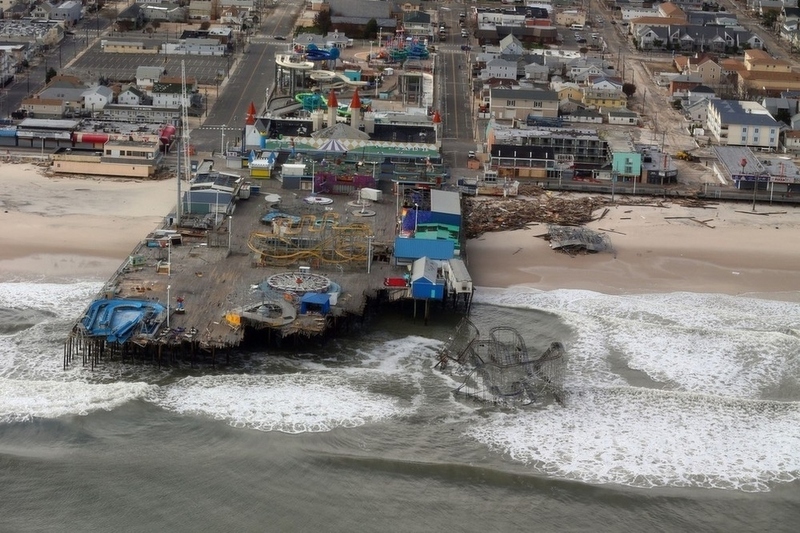 The Casino Pier in Seaside Heights, New Jersey, after Hurricane Sandy. The Casino Pier coaster will be removed from the water. 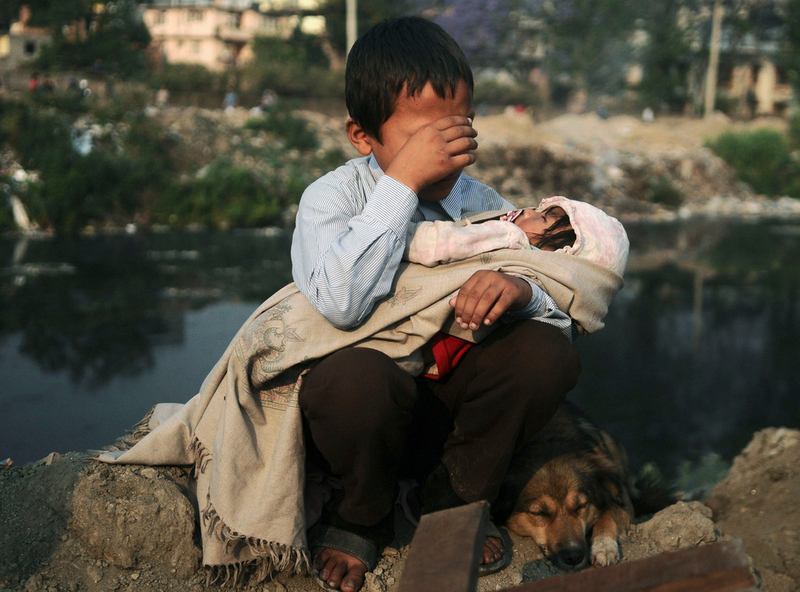 A boy cries as he holds his sister in his lap after a confrontation with squatters and police personnel in Kathmandu, Nepal. 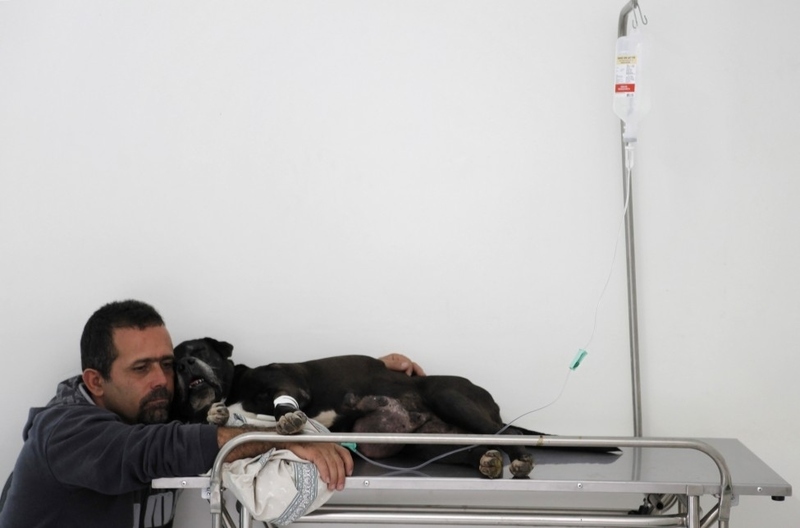 A man embraces his dog as she receives saline from a drip from a veterinarian hospital financed by Sao Paulo’s municipal government. The hospital offers free health care for the pets of low-income residents in Sao Paulo, Brazil. 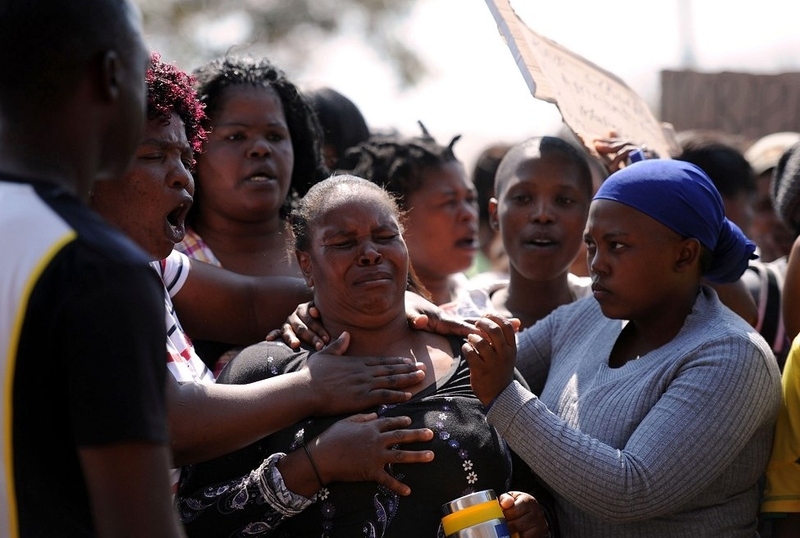 Women protest in front of a court in South Africa. 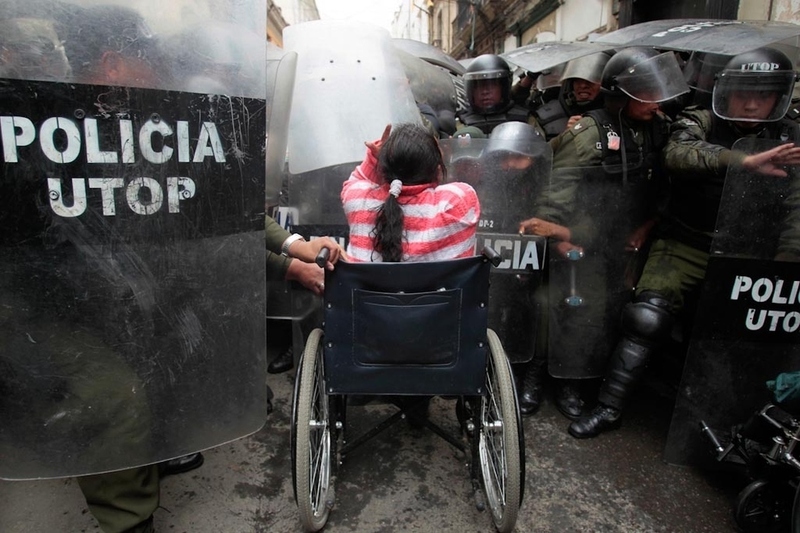 The women were demanding the release of husbands, brothers, and sons among the 259 arrested miners expected to be charged with public violence. 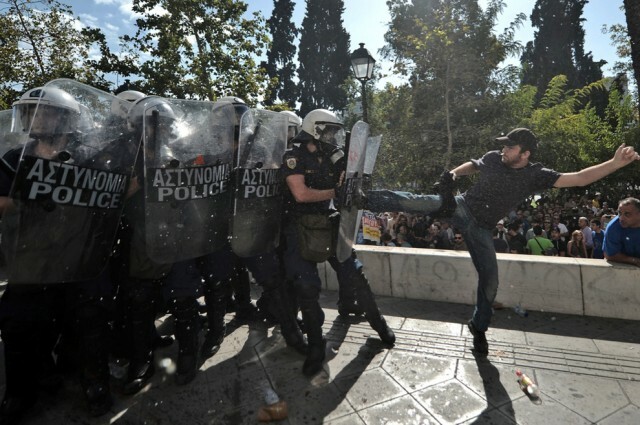 A man in Greece kicks riot police back. 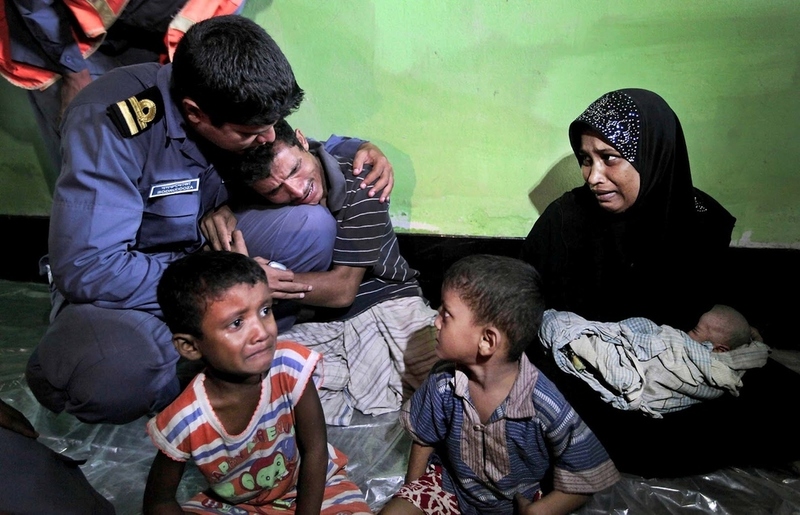 Mohammad Rafique, a Rohingya Muslim from Myanmar, begs a Bangladeshi coast guard official not to send his family back to Myanmar. 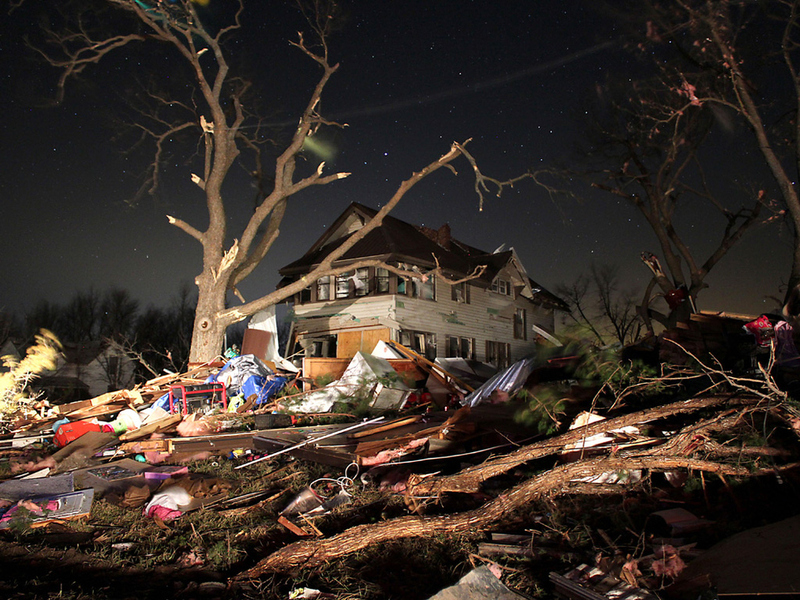 The damage and wreckage left after a tornado passed through Harveyville, Kansas, in February. 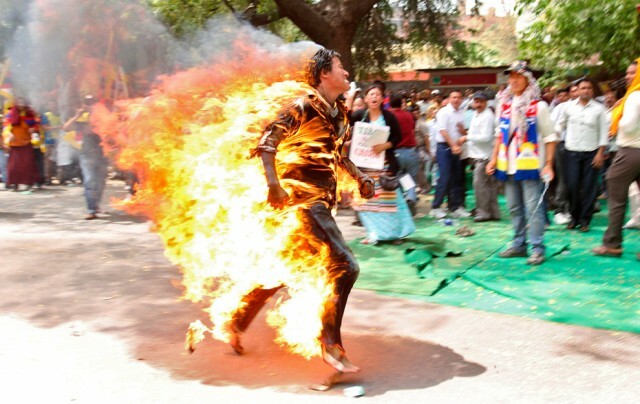 A Tibetan exile runs through a street during a protest against the upcoming visit of Chinese President Hu Jintao. 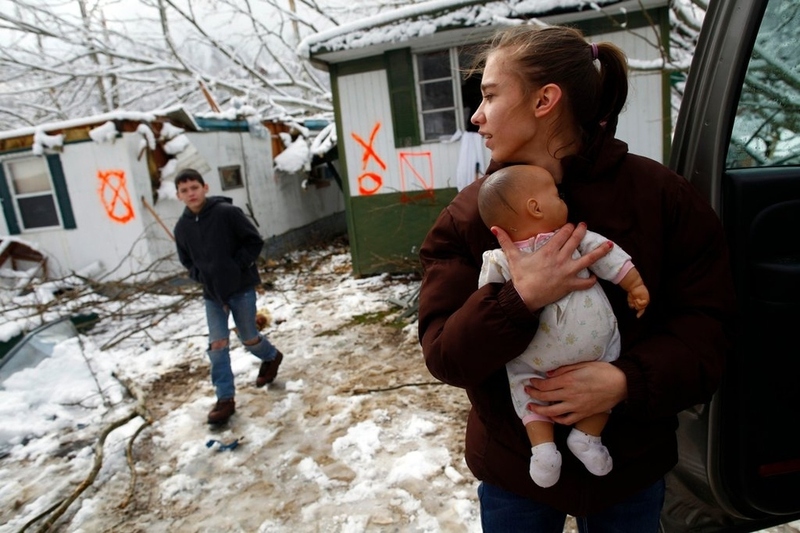 A woman holds a doll she found in grandmother’s tornado-damaged house in West Liberty, Kentucky. 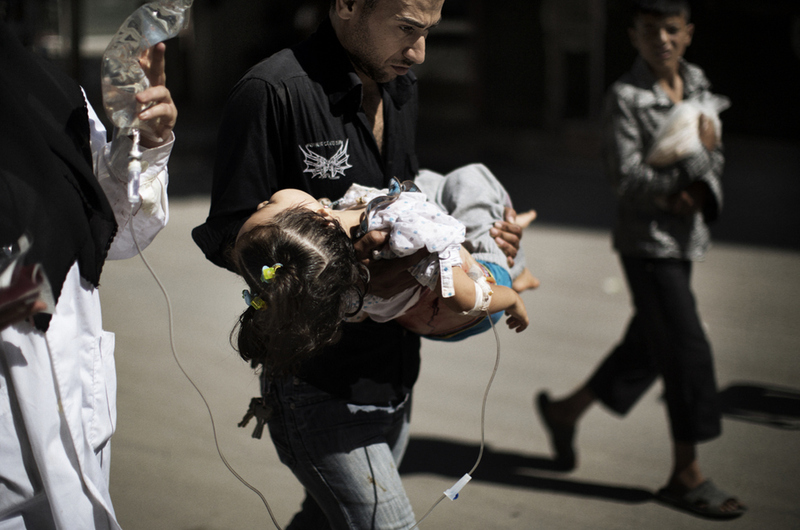 A Syrian man carries his wounded daughter outside a hospital in the northern city of Aleppo in September. Syrian troops shelled several districts in Aleppo and clashed with rebels. 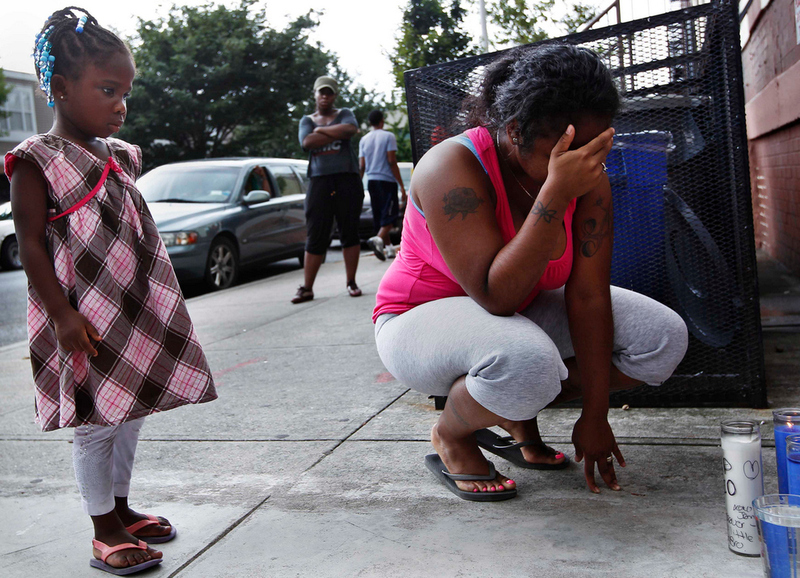 Jennifer Saravia grieves next to a memorial outside the apartment where her brother and cousin were shot dead. Before and after shots of Manhattan after Hurricane Sandy. 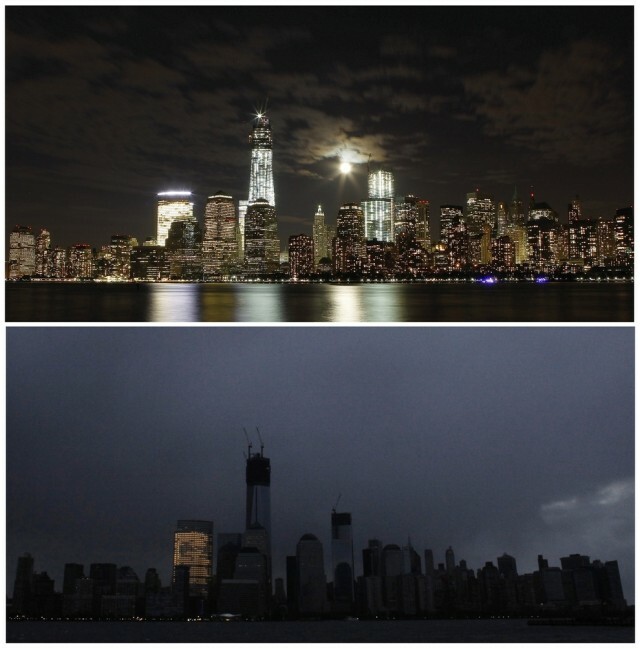 Nearly 200,000 people lost power in downtown Manhattan for about a week. 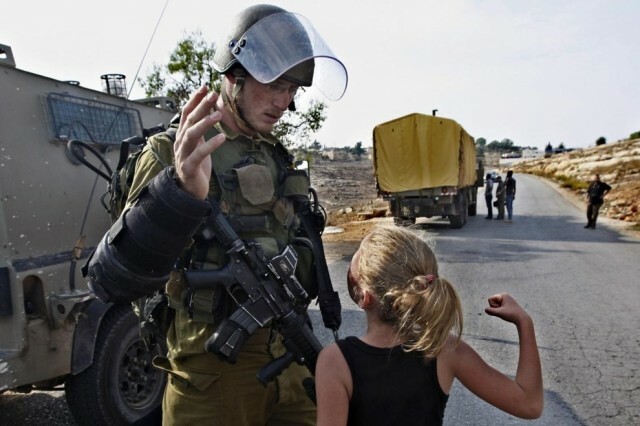 A Palestinian girl tries to punch an Israeli soldier during a protest against the expansion of the nearby Jewish settlement of Halamish. A man looks outside his flooded house in the Netherlands. Protesters (and dogs) shield themselves from a police water canon after a student protest ended in clashes with authorities in Santiago, Chile. 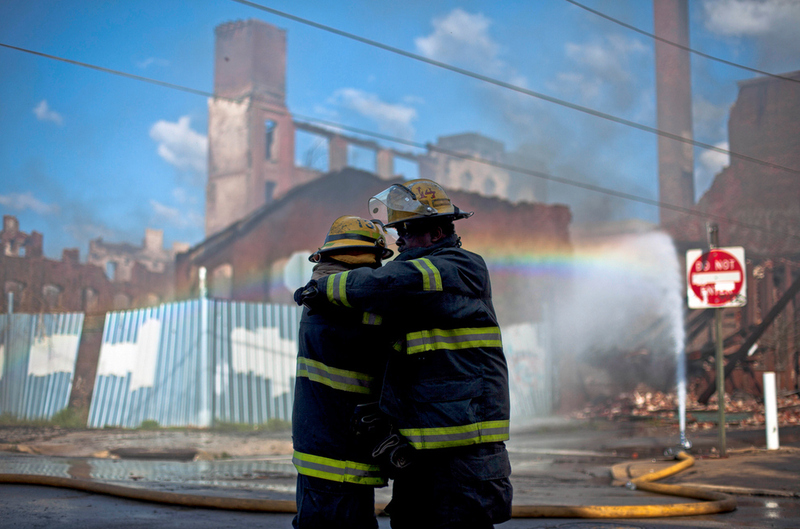 Firefighters greet each other in the aftermath of a fire in a warehouse in Philadelphia. Two firefighters were killed in the blaze. Vincenzo Scibetta is consoled by his father, Charles Scibetta, as his mother’s name, Adrian Victoria, is read during ceremonies marking the 11th anniversary of the 9/11 attacks on the World Trade Center. This year, the new World Trade Center reclaimed the New York skyline, becoming the tallest building in New York. 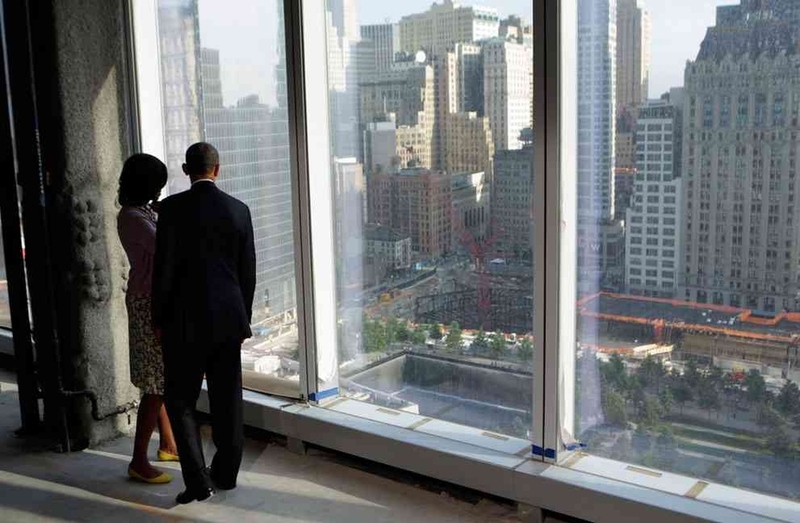 U.S. President Barack Obama and First Lady Michelle Obama look down at the 9/11 Memorial while touring the One World Trade Center building in New York in June. 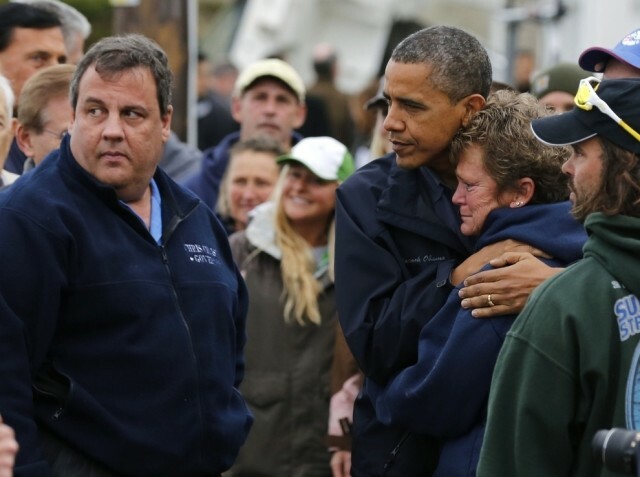 President Barack Obama hugs North Point Marina owner Donna Vanzant as he tours damage done by Hurricane Sandy with New Jersey Governor Cristie. Keesha Patterson of Ft. Washington, Maryland, proposed to her girlfriend, Rowan Ha, during the election night victory rally in Chicago. 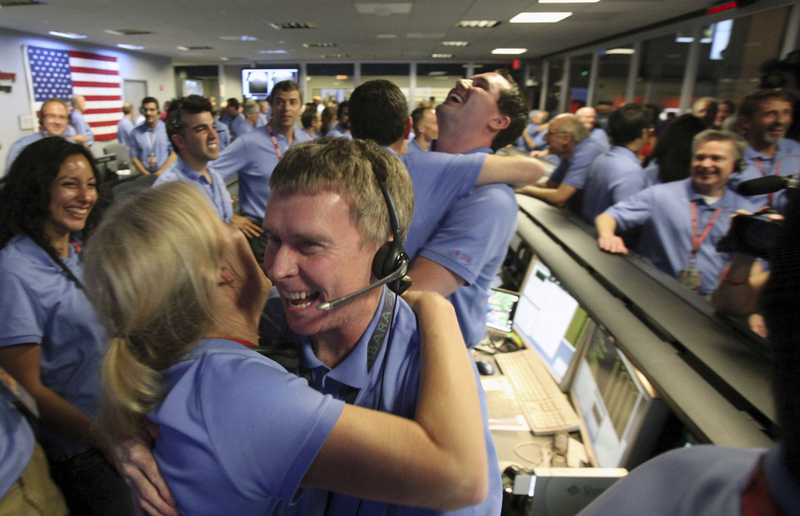 Maryland, along with three other states, voted in favor of gay marriage in November. Christine Barton kisses her son Stephen Barton on July 22 at the Medical Center of Aurora, in Aurora, Colorado. 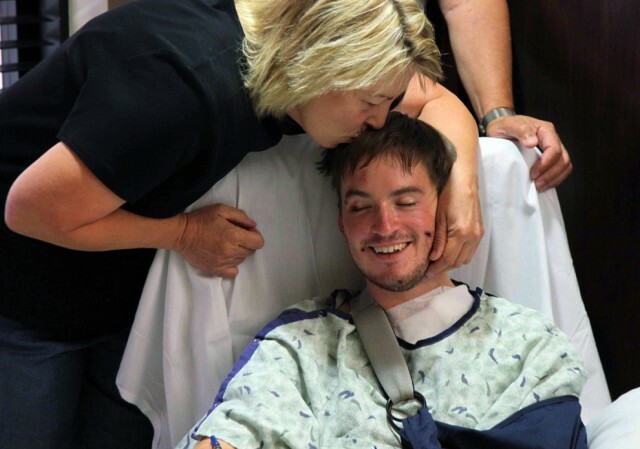 Stephen Barton was wounded in the mass shooting. 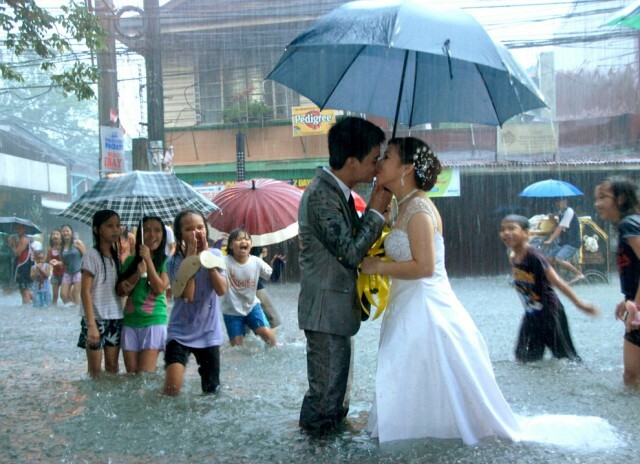 Ramoncito Campo kisses his wife Hernelie Ruazol Campo on a flooded street during a southwest monsoon that battered Manila, Philippines, in August. 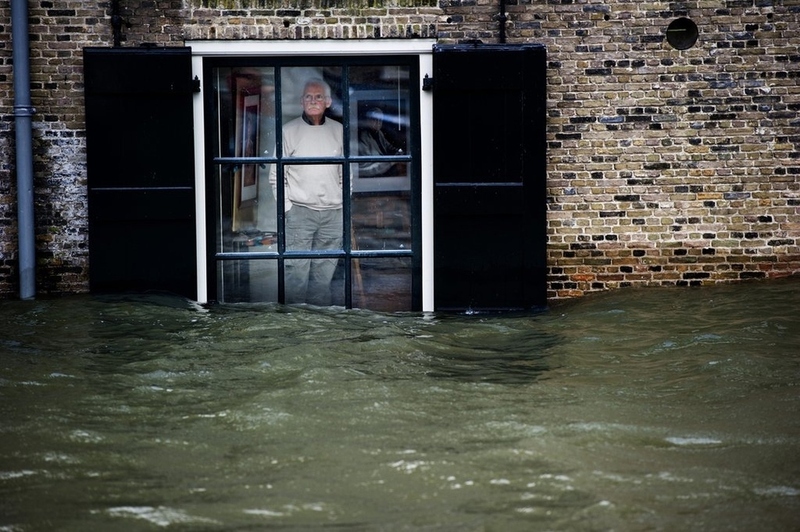 The newlywed couple pushed through with their scheduled wedding despite severe flooding that inundated wide areas of the capital and nine nearby provinces.